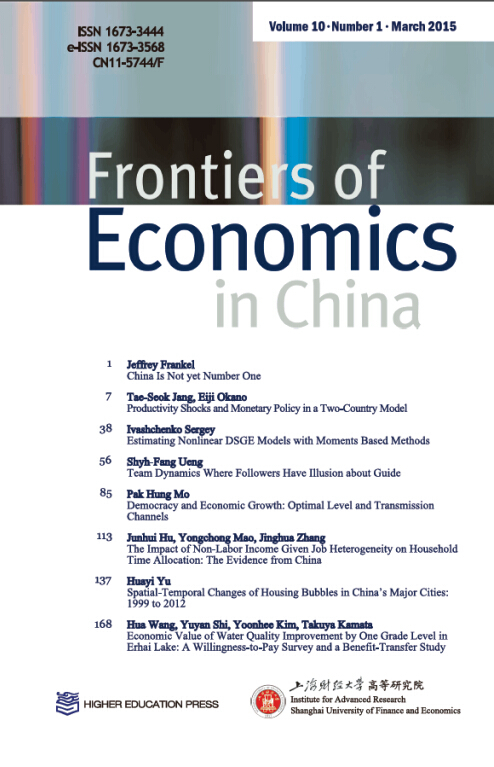 We are pleased to announce that the FEC ranks 9th among 60 selected journals on the list of “2015 Excellent International Impact Academic Journals of China (Humanities and Social Sciences)” as per the Annual Report for International Citation of Chinese Academic Journals (CAJ-IJCR) newly released by China Academic Journals (CD) Electronic Publishing House, Tsinghua University Library and International Academic Literature Evaluation Research Center. This is the second time the journal appears on the list since 2014. According to the Report, the impact factor of the FEC is 0.133 while the international total cites (excl. self-citation) are 42, a good progress compared to the figures released last year, 0.082 and 31. Initiated at the end of 2012, the CAJ-IJCR was designed to reflect the international impact of China’s academic journals from the perspective of bibliometrics and in a comprehensive and objective way. This academic journal evaluation is the first of its kind in China. So far 4 annual reports have been released, all well-received and attracting much attention from both the academic circles and the periodical industry in China.